Radifocus Guidewire M Standard type is a Nitinol hydrophilic guidewire covered with polyurethane containing tungsten and a hydrophilic polymer coating (M Coat) for complete, low friction maneuverability. Indicated for use for standard angiography in coronary and peripheral territories, catheterization, embolization, peripheral angioplasty and stenting (with or without an exchange wire), and subintimal angioplasty in small, standard or large proximal or distal vessels. Radifocus Guidewire M Stiff type is a stiff Nitinol hydrophilic guidewire covered with polyurethane containing tungsten and an hydrophilic polymer coating (M Coat) for good torque control and shape memory as well as high stiffness and resistance. Indicated for use for standard angiography in coronary and peripheral territories, catheterization, embolization, peripheral angioplasty and stenting (with or without an exchange wire) in tight, stenotic, tortuous and narrow vessels. Radifocus Guidewire M with Radiopaque Tip Marker is a Nitinol hydrophilic guidewire covered with polyurethane containing tungsten and a hydrophilic polymer coating (M Coat). This guidewire has a small diameter, high torque control and a highly visible distal gold marker tip for micro vessel access. Indicated for use in standard angiography in coronary and peripheral territories, catheterization, embolization, peripheral angioplasty and stenting in small, distal micro vessels and neurovasculature. 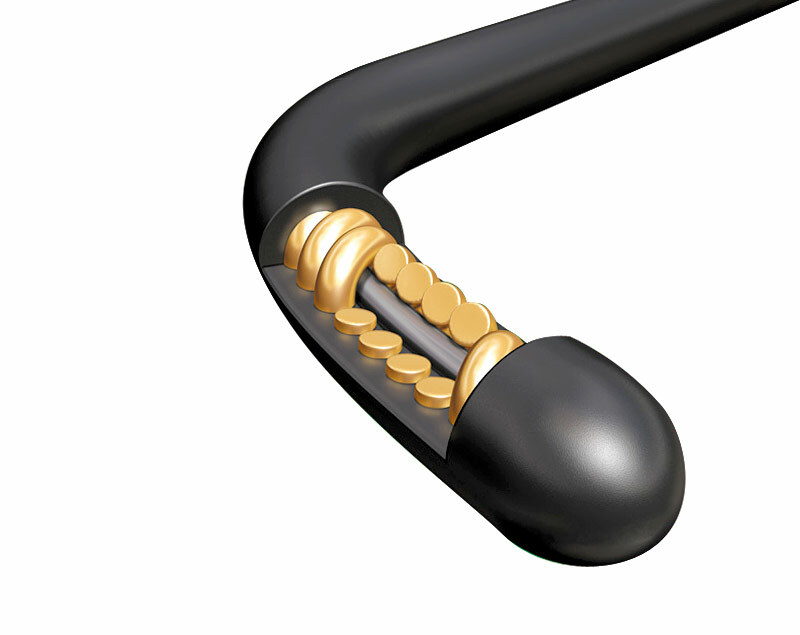 Radifocus Guidewire M Shapeable is a Nitinol hydrophilic guidewire covered with polyurethane containing tungsten and a hydrophilic polymer coating (M Coat) with high torque control and a shapeable tip for special sites that are particularly difficult to reach. Indicated for use for angiography in coronary and peripheral territories, catheterization, embolization, and peripheral stenting in difficult-to-access, small, spasmatic and acute-angled vessels. Radifocus Guidewire M Non-Vascular is a standard and stiff Nitinol hydrophilic guidewire covered with polyurethane containing tungsten and a hydrophilic polymer coating (M Coat) for non-vascular procedures (endourology). Indicated for use in non-vascular procedures such as endoscopic and urologic applications (drainage, endoprothesis placement, and embolization), catheterization, and exchange procedures in normal, tortuous, narrow, tight, and stenotic ducts (bile and pancreatic ducts). Radifocus Guidewire GT is Terumo’s solution for access and navigation in peripheral and cerebral procedures. It is indicated for use in distal catheterization, selective, and superselective embolization in small, distal, angular, and sensitive peripheral and neurological vasculature. Glidewire Advantage is dedicated to all peripheral intervention levels, from sheath placement to ilio-femoro-popliteal and below-the-knee treatments. It combines maneuverability, crossability and device support to reach and cross the target lesion. The Muso Wire has a radiopaque spring coil that provides good visibility and shapeability. Muso Wire is indicated for use in percutaneous angioplasty procedures to guide balloon dilatation catheters or stent systems to the target blood vessel or the target artificial graft in areas other than the cerebral, carotid, or cardiac segments.